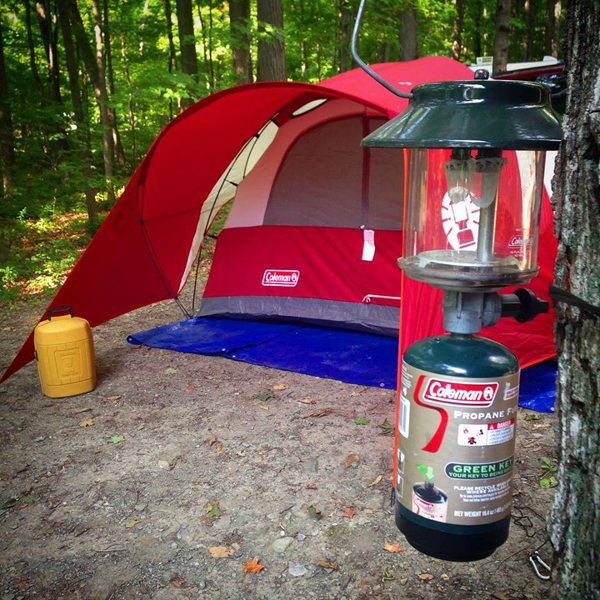 This weekend we headed to Seneca Lake with our tent for some camping. As you can see we are Coleman fans. 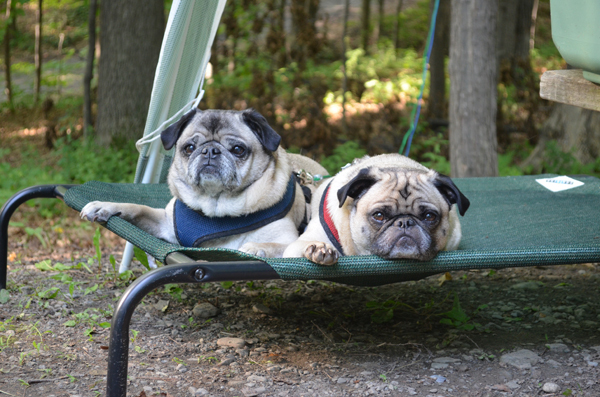 The pugs love to camp. They were glad we brought the Coolaroo for them to lounge on at the campsite. 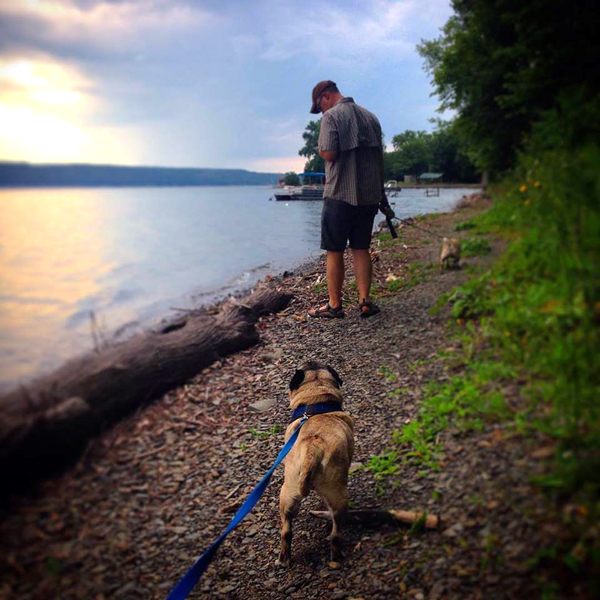 Once we set up camp, we went for a walk along the lake. 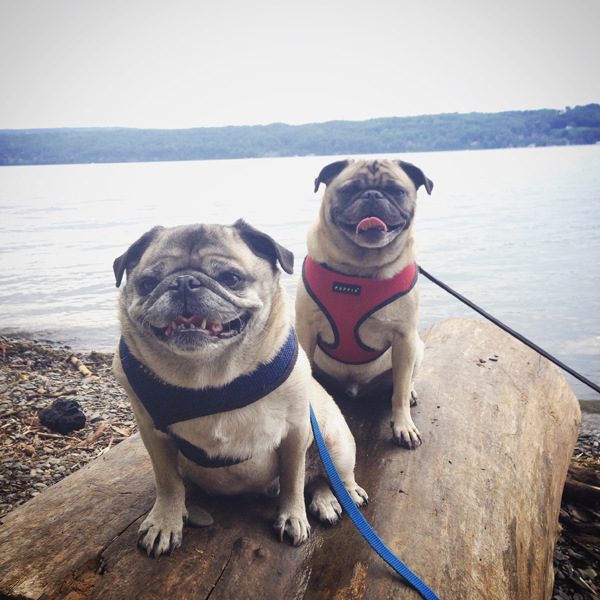 Two bumps pugs on a log. 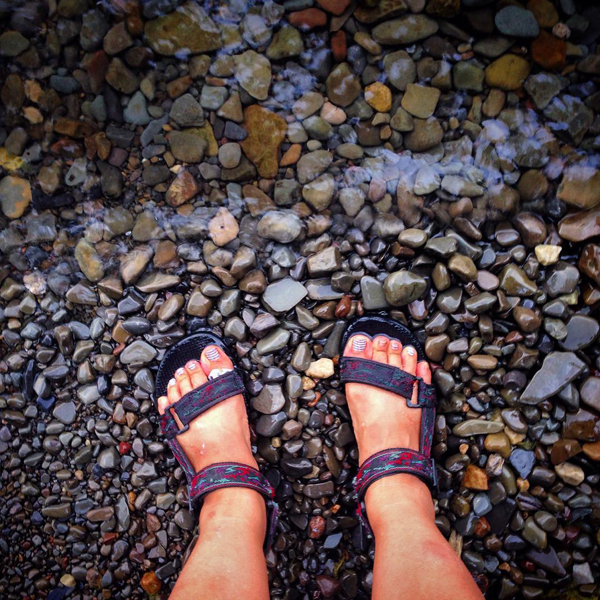 Instead of sand, the lake has smooth stones around the edge. After our walk it started to rain and it rained until about 11pm. 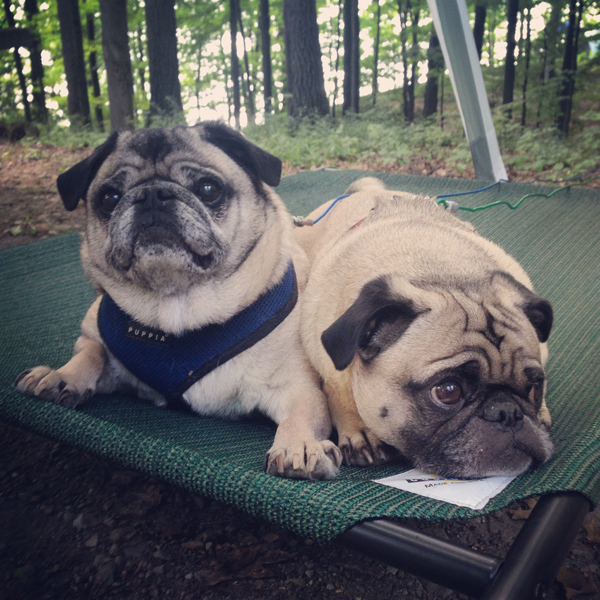 We had to sit in the tent with two snoring pugs and eat peanut butter peanut butter cup and jelly sandwiches. That's camping!